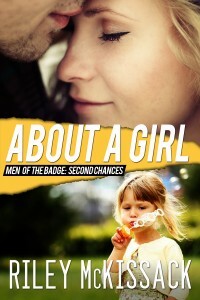 Family drama comes to the forefront in About a Girl. But, as in all of Riley McKissack’s books, suspense plays a part. When Lindy Thompson returns to the county in which she grew up, she faces ghosts of an emotional nature, as well as physical threats. Lindy’s little niece, Sara, turns up, without a mother or father. A small child alone in the world faces grave threat. Lindy and Tucker Randall, the local district attorney, join together to protect the child. Then, it becomes all about a small girl. The dangers she faces and what they must do to ensure her safety and provide her with a loving family.